When her father, Captain Crewe, is called to duty in Africa, young Sara is sent to stay in the care of an exclusive school for girls. Sara finds that she is quite happy in her new surroundings; she's living a life of wealth and privilege. However, her good fortune takes a turn for the worse when her father turns up missing in action. Now strapped with looming tuition, room and board payments, Sara finds herself scrubbing floors and cleaning fireplaces to work off her debt - being dubbed the Little Princess by her former friends. 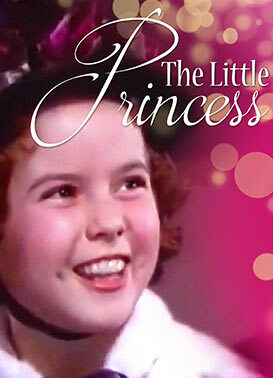 Finally deciding to not let it get her down, the new "little princess" refuses to give up hope and sets off on mission to discover her lost father's whereabouts.